"Developing the knowledge and skills to create and analyse financial models on a consistent and focussed basis." Today, Financial Modelling is uniquely challenging. Even the most carefully structured deals can face difficulties in attracting sufficient funding from international and local investors. More than ever, project developers, equipment suppliers, bankers and other credit agencies and investors must be properly equipped to analyse and explain the risks and prospects for a project’s future performance. 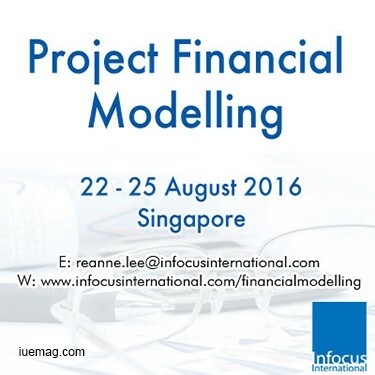 Therefore, this course is designed to help delegates build a financial model to best practice standards for project finance. The general logic and overall approach will be demonstrated; then you will step through developing a model: handling inputs, building detailed calculations and creating final outputs. You will then learn how to sensitise the model to understand how changes in assumptions affect the business results and viability. Over 4 intensive days, you will learn modeling techniques from a highly experienced expert in the field, and you will develop a framework for recognising and analysing qualitative and quantitative risks. You will also understand how Excel models are used to assess debt capacity, cover ratios, NPV, investment returns and other metrics common to attractive deals. Apply knowledge in interactive and realistic case study to highlight what leads to success, and what leads to failure! Any facts, figures or references stated here are made by the author & don't reflect the endorsement of iU at all times unless otherwise drafted by official staff at iU. This article was first published here on 22nd June 2016.